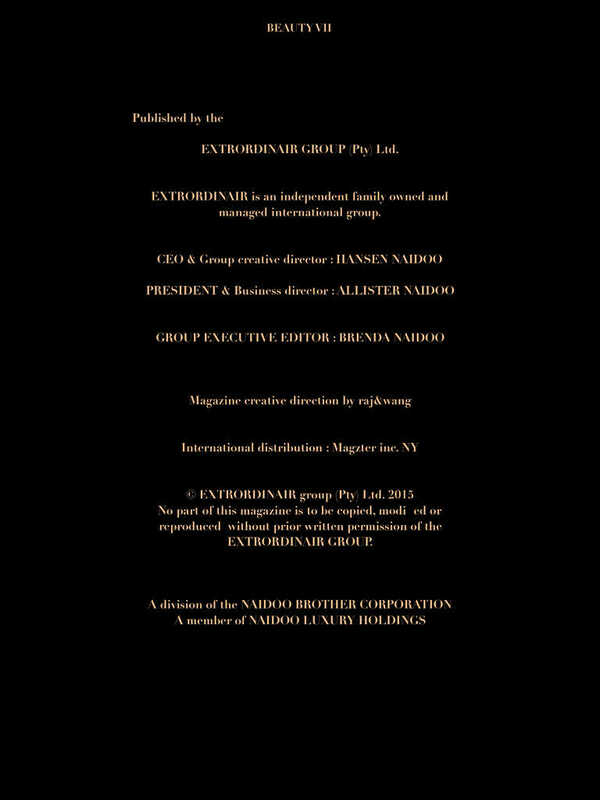 Welcome to the worlds first luxury beauty magazine, founded by international luxury & media entrepreneur HANSEN NAIDOO, proudly published by the worlds largest luxury publisher, the EXTRORDINAIR GROUP. 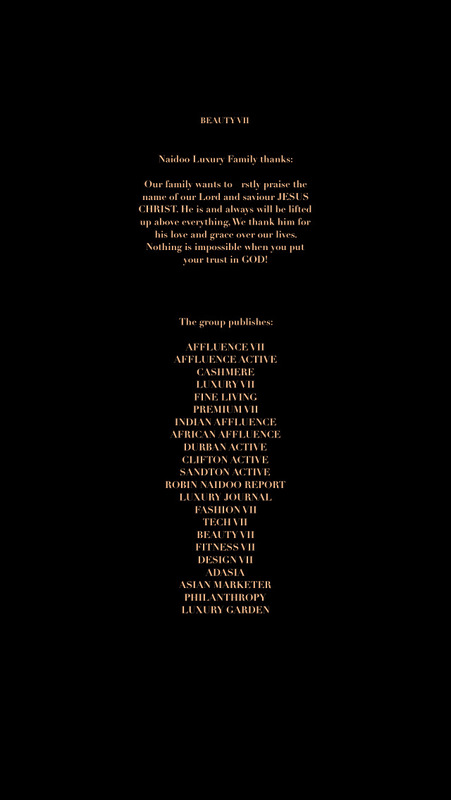 BEAUTY VII is crafted with the finest design and photography, together with the worlds most desirable brands. 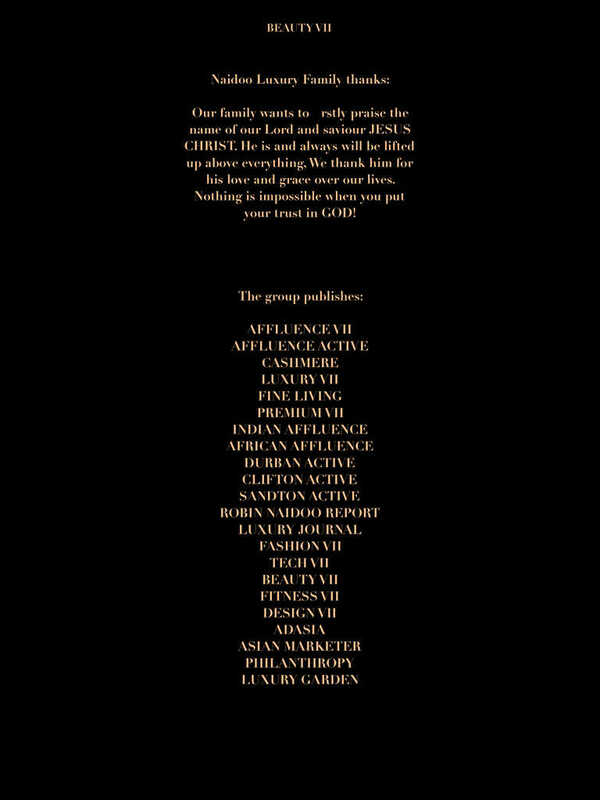 BEAUTY VII was founded to meet the standards of the worlds most affluent women.